The BTO (British Trust for Ornithology) has produced a superb series of bird ID videos to help birders tell commonly confused species apart. 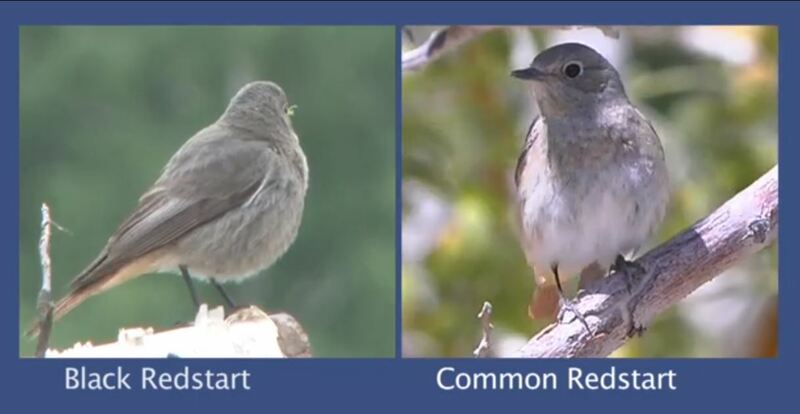 The latest instalment in the series tackles the differences between black redstart and the rarer (in Ireland) common redstart. The most likely time to encounter either of these birds in Ireland is on passage during spring and autumn migration. Males of both species are very distinctive birds, and are unlikely to be confused… but the young and female birds can be very similar, and you have to take care separating them, particularly during spring and autumn when birds can turn up in unusual places.